First called Educational Resource Street Fair in 2002, this one-day Street Fair has evolved into a major community celebration of education, children and resources; it is now the finest, and possibly the largest, one-day education Street Fair in the City. The Street Fair is free to attend and open to the public. 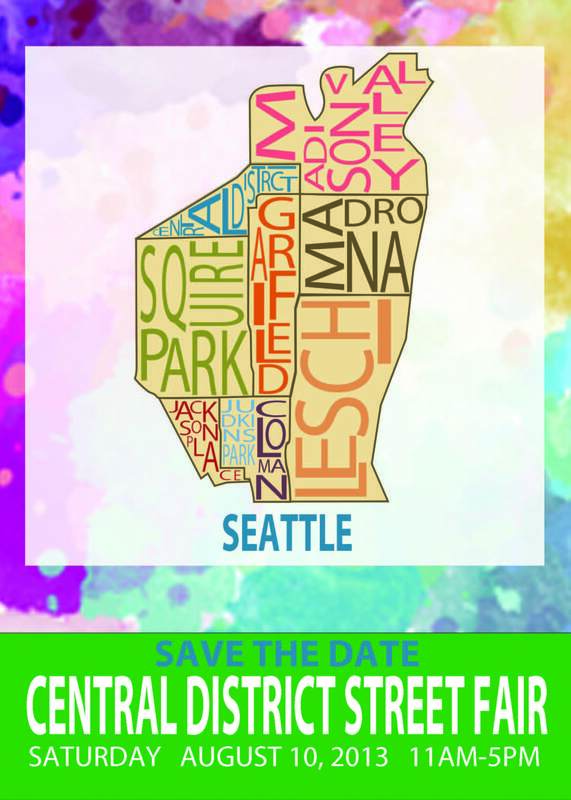 With resources and information-sharing lead by more than 50 public/private organizations and exhibitors, and catering to every conceivable educational interest, the Street Fair draws thousands of children, youth and families to the Central District. It is is funded in part by a Neighborhood Matching Fund award from the City of Seattle, Seattle Department of Neighborhoods. We hope you can join us as we continue our tradition of a fabulous fair! Vendors: This link is a printable version of the registration form. We require pre-registration for all vendors. The registration fee for a booth is $55, with no charge for public/private non-profit entities. Once registered, a confirmation of your reservation will be emailed with instructions. For your convenience, here is a printable version of the Street Fair Poster and Save the Date Postcard.